Natalie has been our outsourced Finance Manager and lead bookkeeper for more than 5 years. She is our go-to person for any of our financial questions, from complex recording of transactions between multiple entities to complex payroll queries. We also rely on her to help us implement advice from our accountant and financial planner. Her reliability, professionalism and depth of knowledge is something we have come to depend on, as well as her ability to research complex issues and explain our options in an easy to understand way. She has a natural talent for understanding business from a big picture perspective through to finer operational details, always going a step beyond. The best part is knowing we can call on her for anytime to help run our business as she provides ad hoc, on-call advice to clarify any queries and to provide guidance in the best way to do a wide range of things. Natalie has been my trusted business adviser since I took over the gym back in April 2014, working with me in a business adviser and bookkeeper capacity. Natalie is always there if I ever have business ideas or questions, she gives me honest feedback from a professional and business angle which has led to some successful outcomes. Our relationship has grown over the years and I am so grateful to have someone who invests in and supports my business as much I do. Finding it hard to do everything as a Sole Director in my business, Natalie has helped me with everything from the initial set up of my accounting requirements, payroll, xero training and the added benefit of compiling and providing my year end accounting to the tax accountant. I can honestly say I would not trust anyone else with my business financials. We provide expert accounting, financial advice, and training to both individuals and businesses. With over 15 years of experience we’ll ensure that you’re always getting the best guidance for your business. 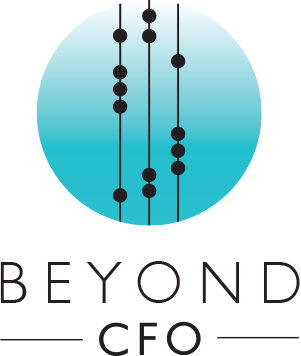 This website and its contents are the copyright of Beyond CFO Pty Ltd – © 2018. All rights reserved.